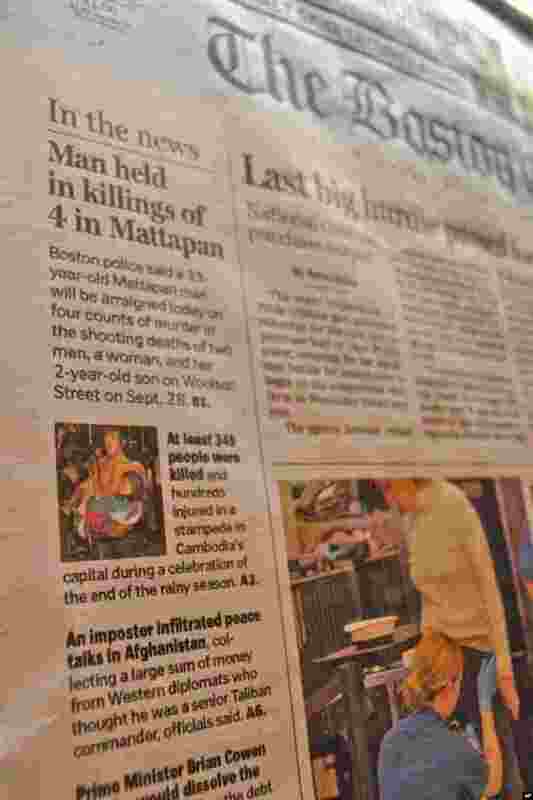 5 The Boston Globe features the story prominently. 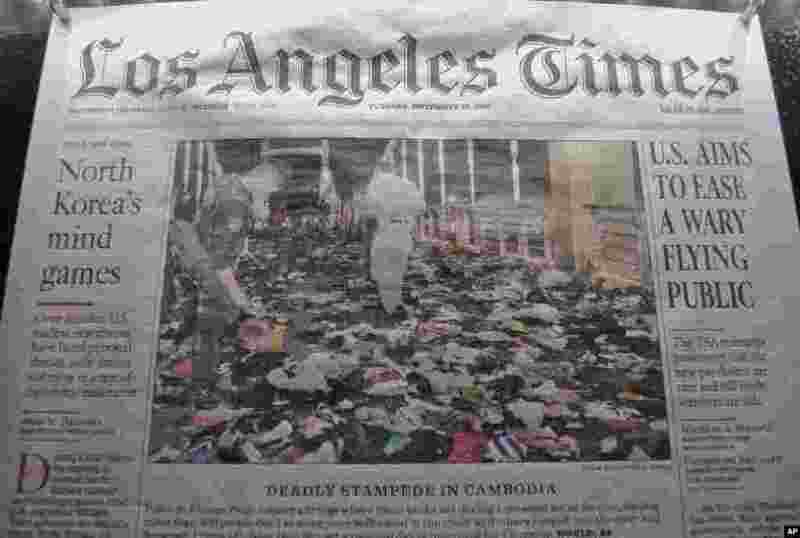 The city of Lowell in Massachusetts, just one hour northeast of Boston, is the second largest Cambodian community in the United States. 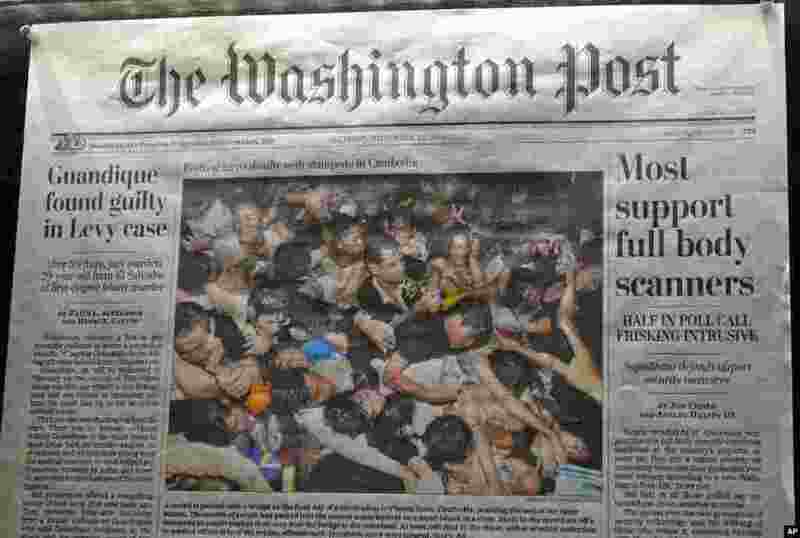 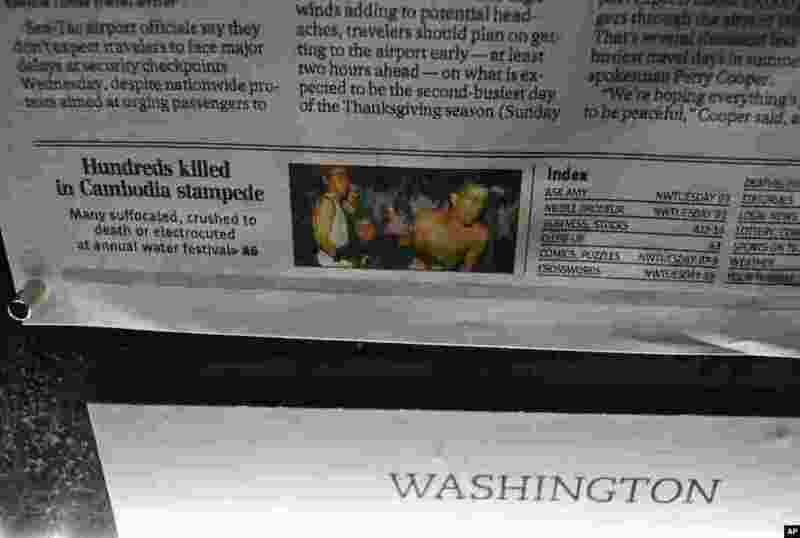 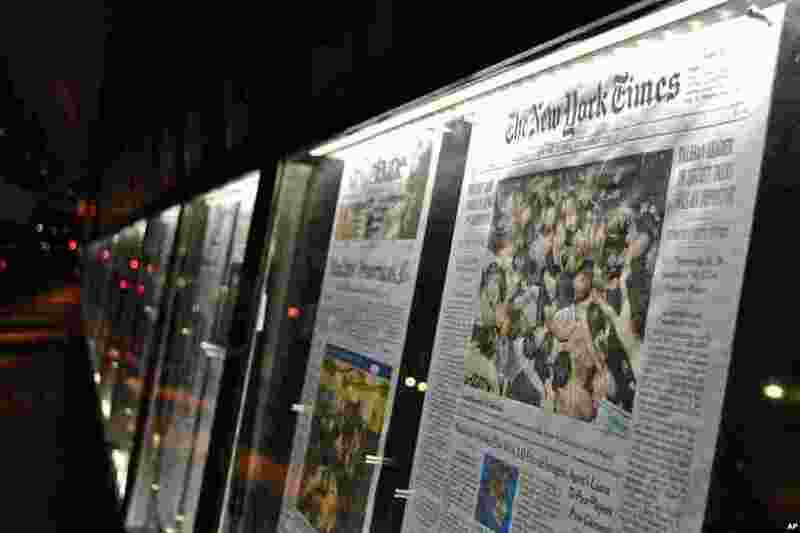 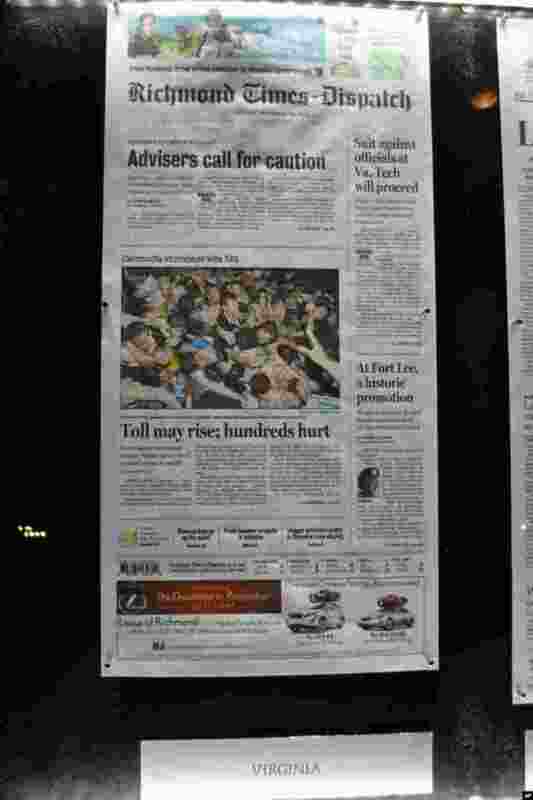 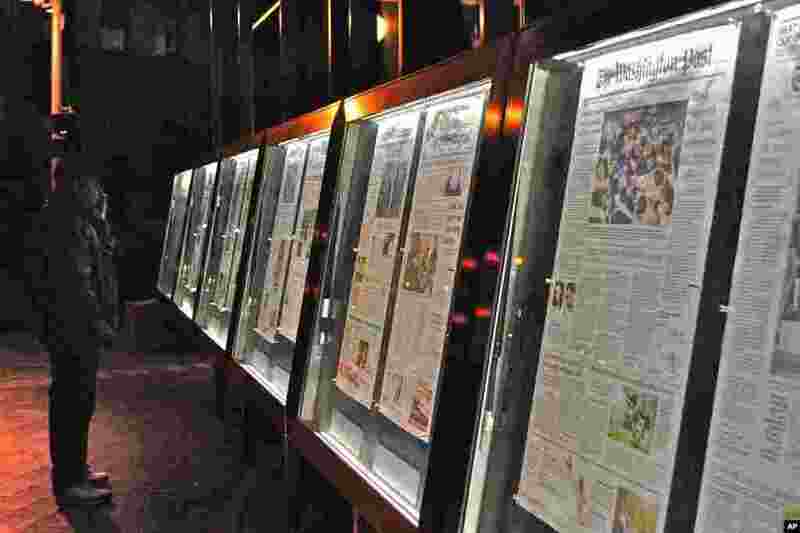 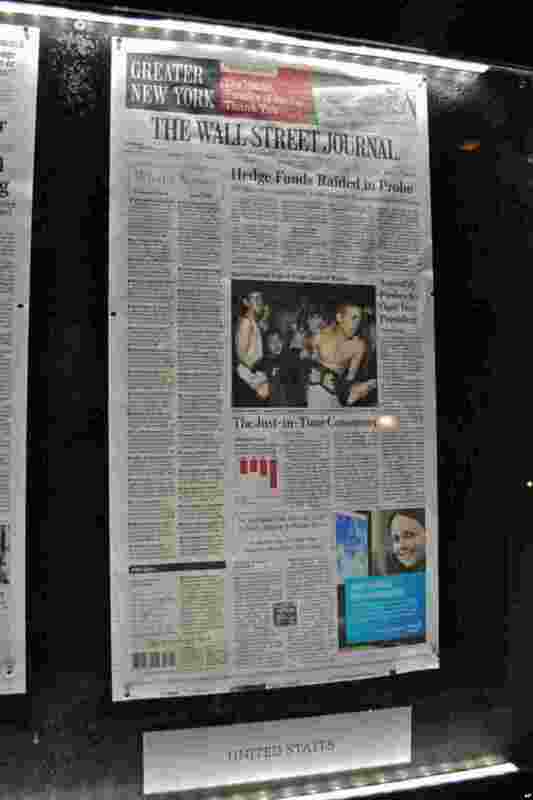 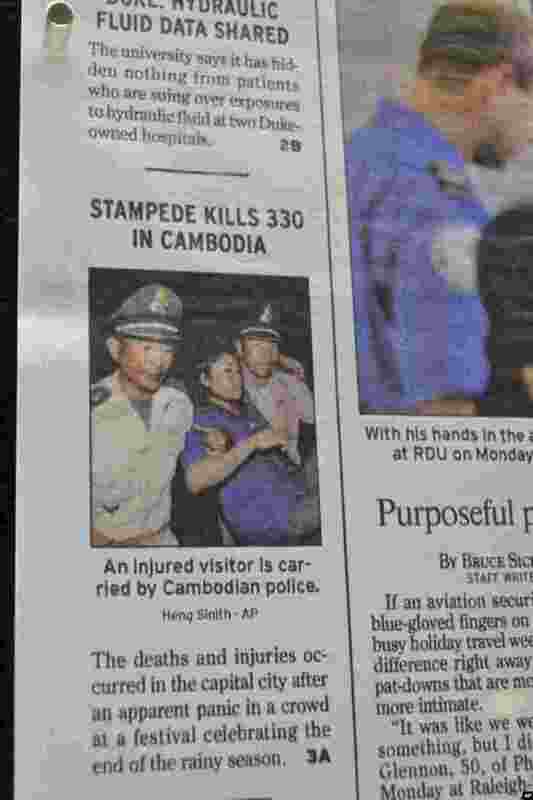 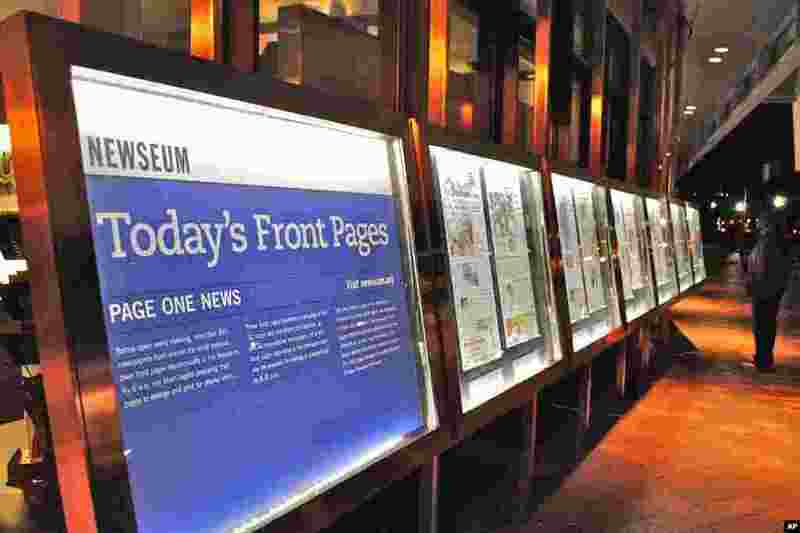 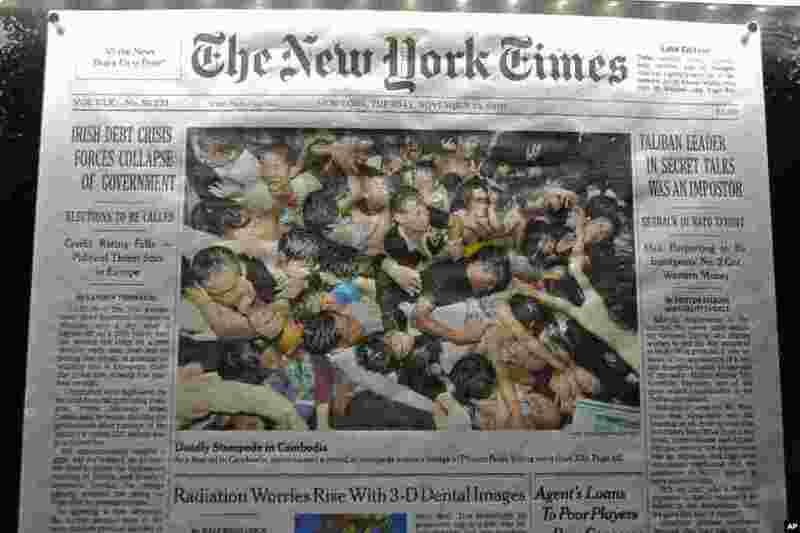 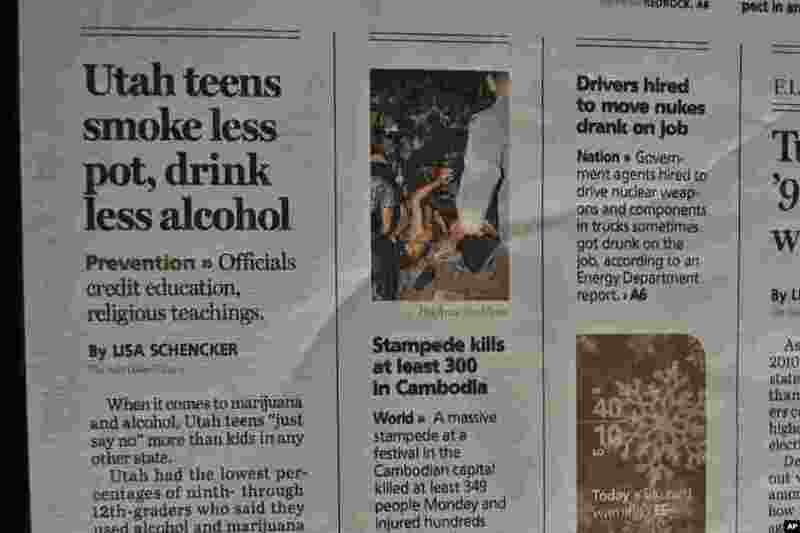 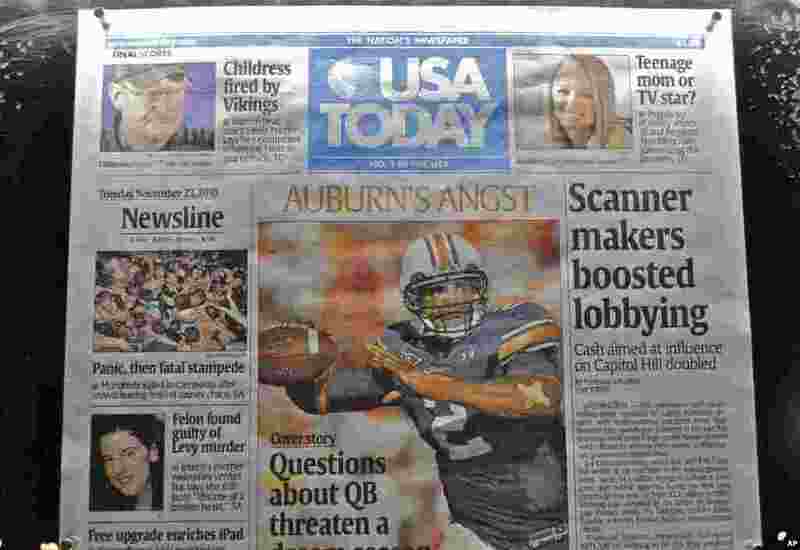 6 The Wall Street Journal, the largest American newspaper by circulation, prominently features the Cambodian stampede story on its front page. 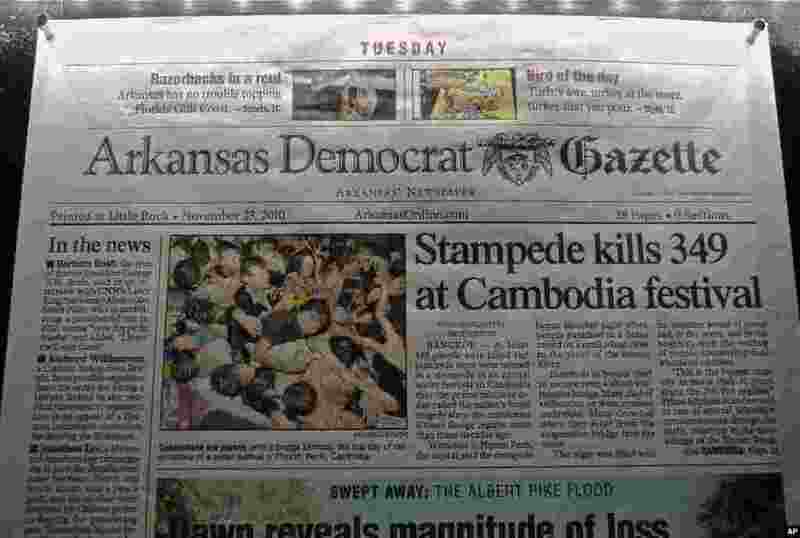 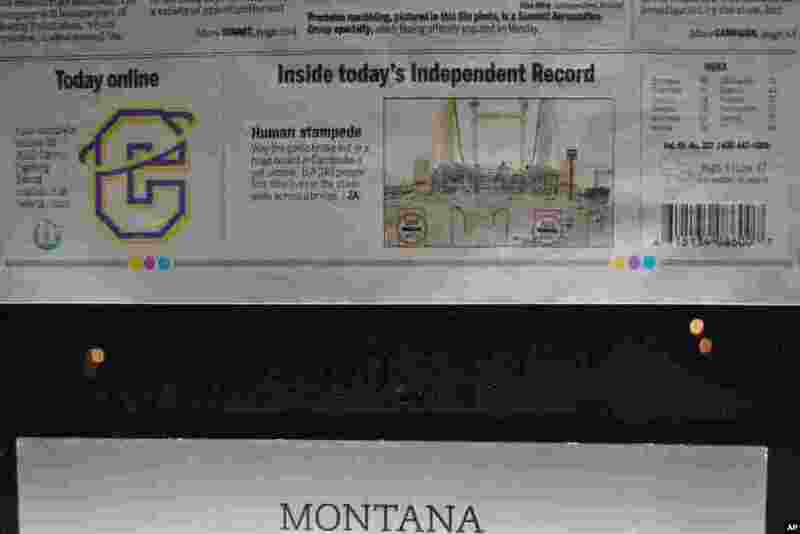 7 Even a newspaper in the more remote state of Montana features the Cambodian stampede story on its front page. 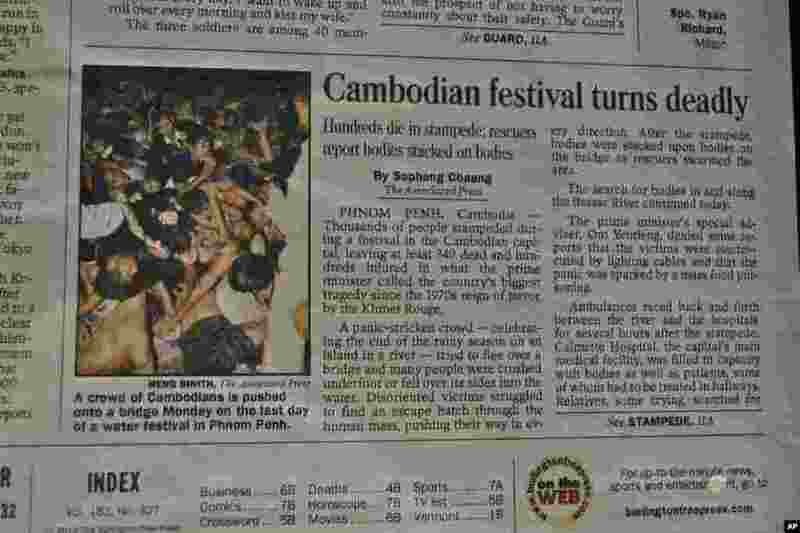 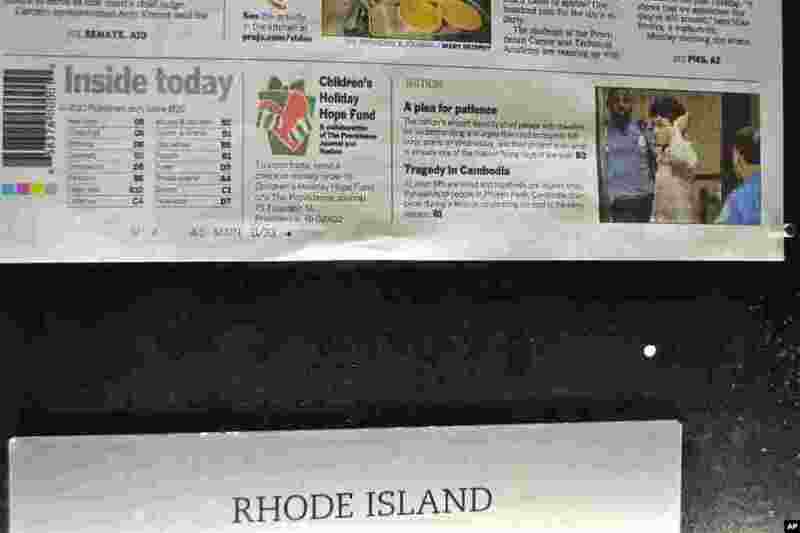 20 A newspaper in the state of Vermont features the Cambodian story. 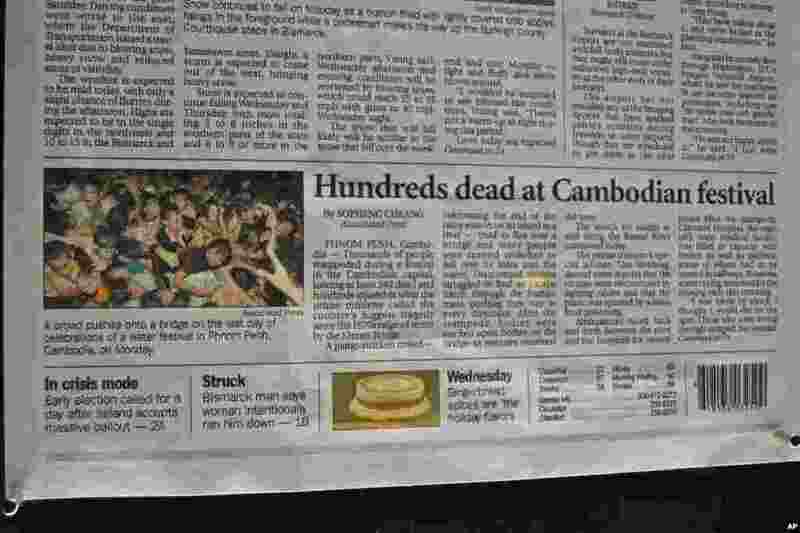 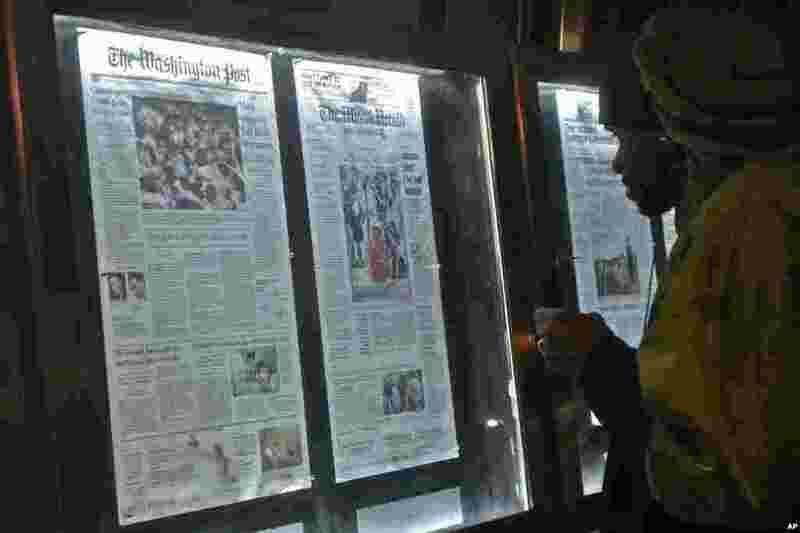 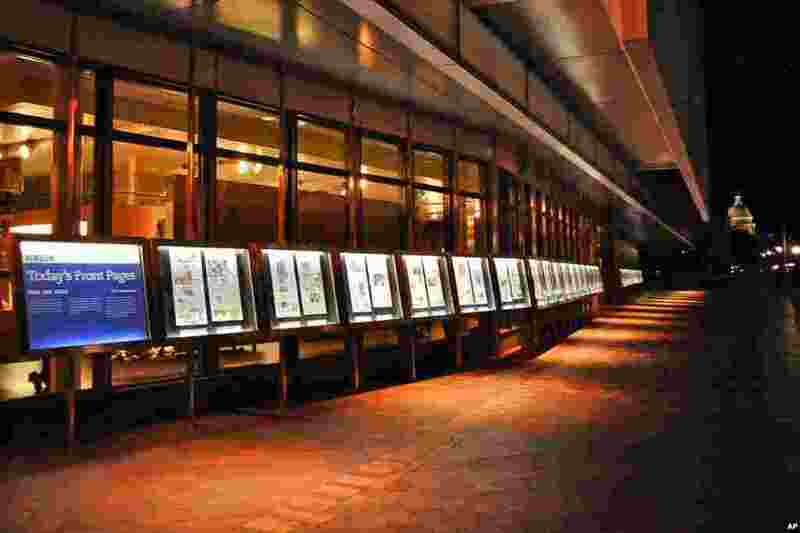 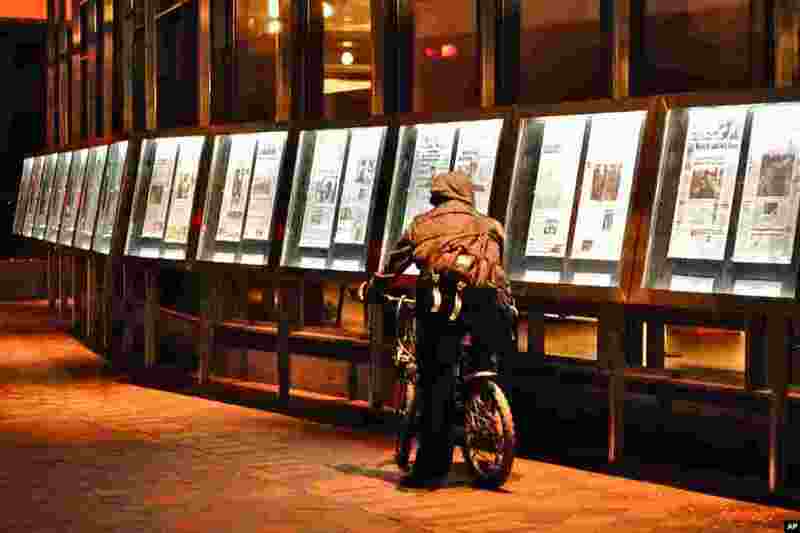 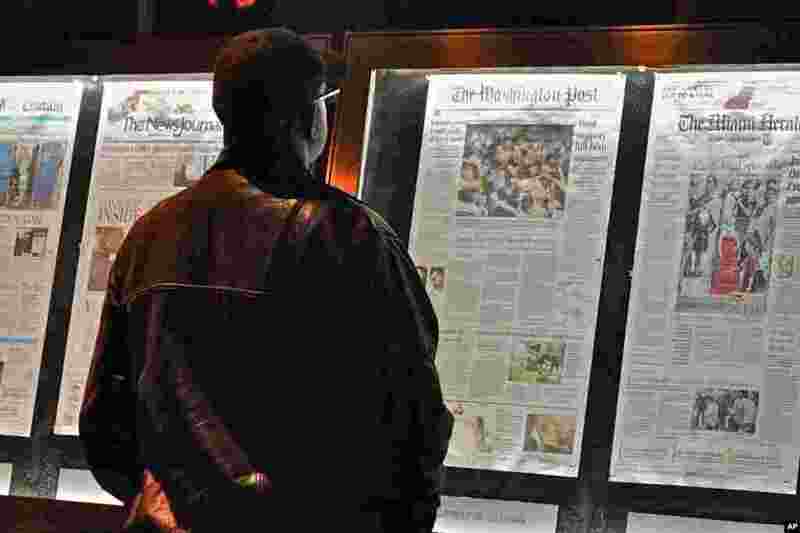 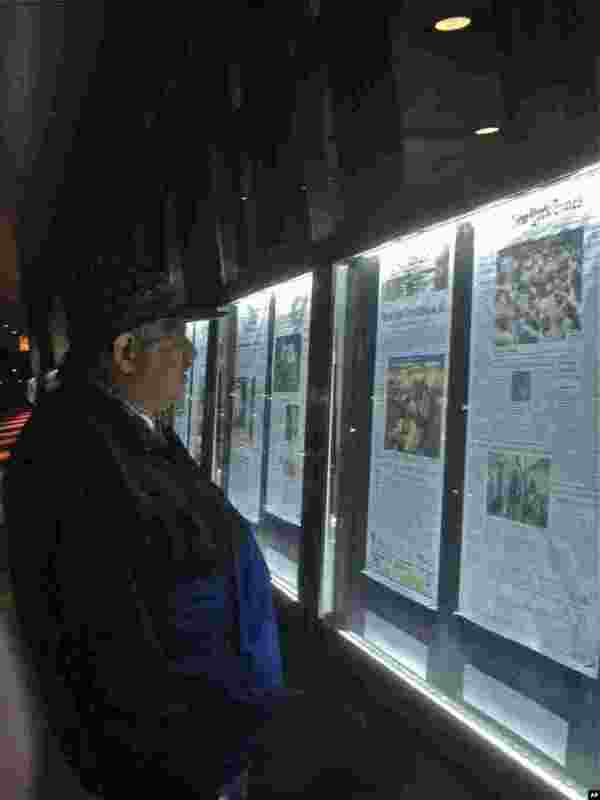 23 A passersby examine the main photo of the stampede in Cambodia on the front page of Washington Post of November 23, 2010. 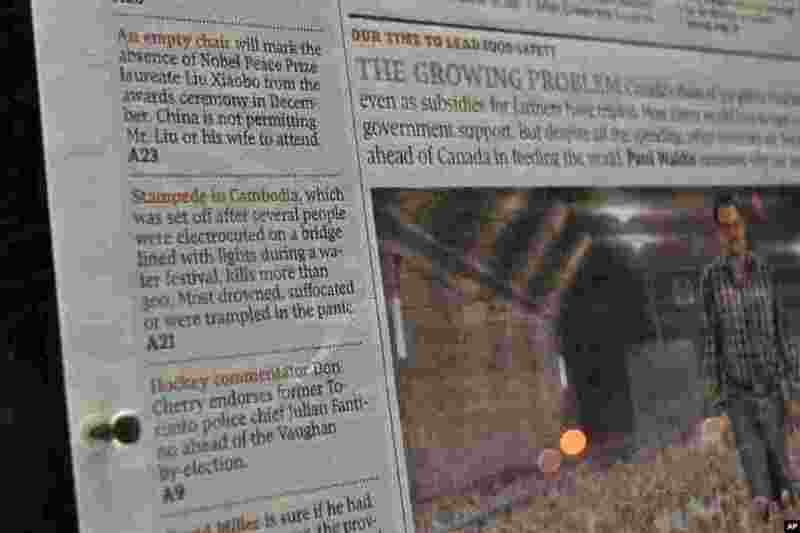 24 A major Canadian newspaper, the Globe and Mail, has the Cambodian story on its front page.